We all worry about being ripped off, and its easy to become very worried about it considering how many stories of scams, cons and rogue traders you see in the media every day. The good news is that technology is now helping everyone from individuals to business owners protect themselves and their money. Using audio recording bugs, you can now arm yourself with evidence to use against fraudsters, con artists and overly pushy salespeople, with which you can hopefully get your money back. After all, how many times have you wished you could listen back to the conversation when an agreement with a service provider has been unclear, or youve agreed to buy something over the phone and youre hazy about the details? Using call and audio recording, now you can. 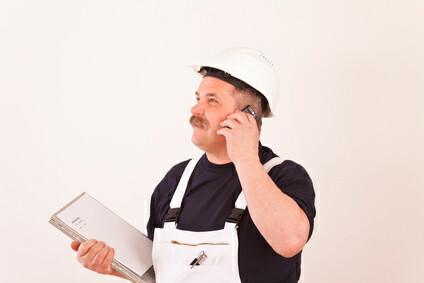 Evidence of a phone conversation with a tradesperson can also be used in case of dispute over the quality of the work. 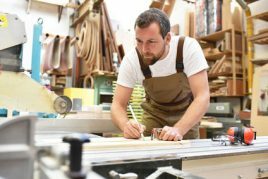 If youre unfortunate enough to encounter a rogue tradesperson who virtually ruins your property, and they go silent or claim no knowledge of taking on the job, you have the evidence to potentially prosecute them and claim compensation for any damage. Sadly, it is those that are most vulnerable in our society who are often more likely to be targeted in a telemarketing scam. 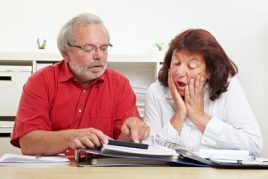 Scammers believe the elderly to be easier to deceive and confuse, and they prey on their fears and concerns in order to extort money. These scams come in all shapes and sizes, from a salesperson selling a perfectly legitimate product in an unethical way to fraudsters trying to con people out of their money with a fake offer, product or service. If you have an elderly relative and youre worried about phone scams affecting them or taking their money, the good news is that there is a way to fight back. You can protect your relative and give yourself peace of mind by using call recording devices. These simple devices can be used with most telephones, including mobile phones and smartphones, and can record both sides of the conversation when a call is made or received. Your relative can even choose to switch it on or off if they choose, but as long as you explain why the device is there  it may be better to have it switched on all the time, just in case your relative finds it difficult to identify real calls from fake. With call recordings, you can fight telephone scammers. If a salesperson from a real company has behaved unethically or has been too pushy selling a product, you can use the recording to prove it and get a refund for your relative. If someone calls from a fake company, you may be able to nip the situation in the bud before any money is taken. If you get into the habit of doing a quick check of all the recorded calls each day, you may be able to spot a scam call in time to call your relatives bank and stop or reverse any transfers that may have been made. This could even lead to the scammers being traced, found and stopped for good. You may have your audio recording as evidence of a scam or a tradesperson behaving irresponsibly or dishonestly, but can you use it in court? Audio and video recordings made without the other persons knowledge or consent may not always be admissible in court, but they can still very useful in helping you argue your case. Simply letting the other party know that you have the recording can persuade them to back down and repay your money  in fact, this has been known to happen in a lot of cases. You can also use the recording to report tradespeople to regulating bodies, guilds or associations they are members of, to prove they have been behaving dishonestly towards customers. This could get the person thrown out of their guild, hopefully improve standards for everyone and prevent someone else from falling for the same scam or rip-off. If your recording is admissible in court, it could go a long way when it comes to proving things happened as you said they did, rather than the other persons version of accounts. If the other party threatens you with legal action with regards to recording without their knowledge, you dont have much to worry about. If youve recorded in your own home or business with the intention of recording for security purposes only, you dont record anywhere where a person has a reasonable expectation of privacy (i.e. in a bathroom) and you dont share or sell the recording to a third party, you wont have broken any laws. If you do confront a scammer with your recording, be very careful and take all steps to protect yourself. This includes recording the conversation you have with them, because if threats are made then this is something the police will take very seriously.